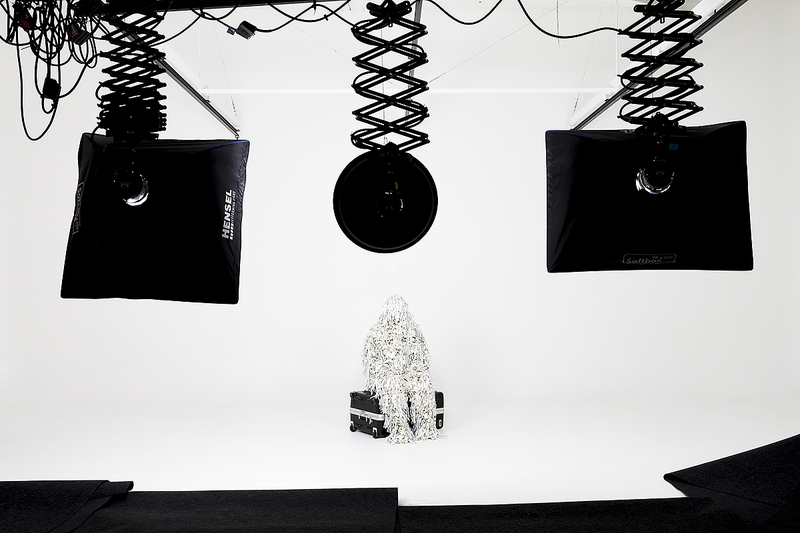 Purdom, Mark (2018) Arctic Ghillie Suit, 29/10/17: Exhibited in the New Zealand National Contemporary Art Award 2018, Waikato Museum, Hamilton, New Zealand. National Contemporary Art Award 2018., Arctic Ghillie Suit, 29/10/17. “What is not seen is for all practical purposes non-existent”. Solomon J Solomon The need to conceal is at the core of my photographic project Mimetic which looks at the multifaceted ways in which mimicry, camouflage and deception play as much a part in the lives of humans as they do the animal kingdom. Often in my work, there is a tension between what my photographs describe and what they reveal. In the work Arctic Ghillie Suit, 29/10/17, I am exploiting the potential of photography’s indexicality - when it is at its most factual is often when it is most obscure. Museum Statement: The best and boldest contemporary art always emerges out of the National Contemporary Art Award. The art award has been one of the most prestigious art events for the last eighteen years in Aotearoa because of the calibre of its judges and artists alike. Contemporary art is not just an exhibition of art for the elite, it is an invitation to anyone with an inquiring mind to enjoy. The 2018 judge, Reuben Friend, Director of Pātaka Art + Museum, has selected this year’s finalists from over 300 entries.